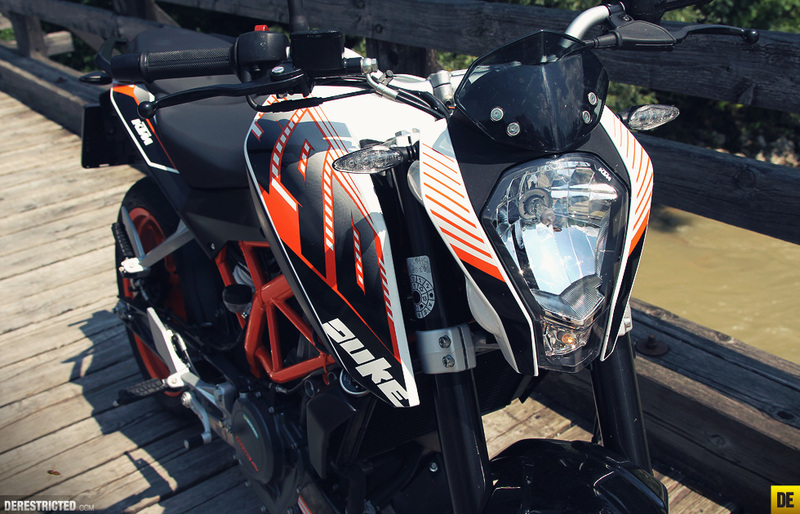 KTM 390 Duke DE mini review and photos. 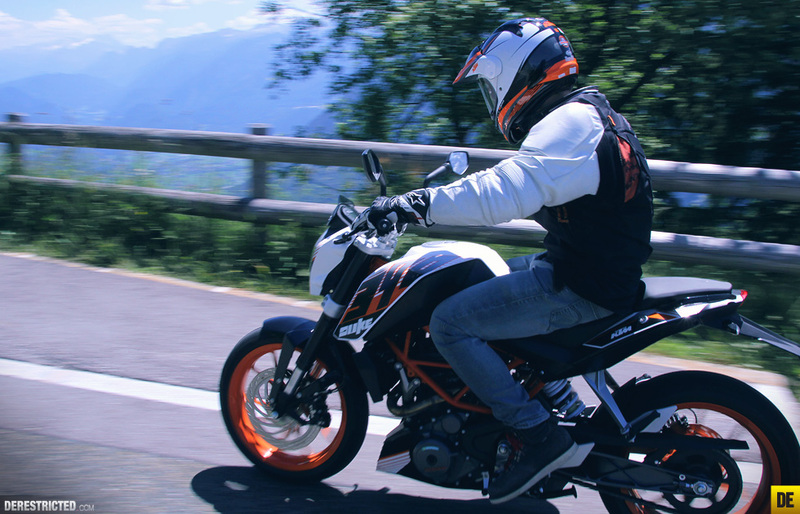 With 43hp and weighing 139kg the KTM duke 390 is a surprisingly fun little bike. To be honest I wasn’t particularly excited about testing it after riding it’s big brother the 690 duke for the past year but I have been really impressed with it so far. The engine has a really nice sound when it hits the powerband over 7,000 rpm and a decent enough kick to get the front wheel up with a little blip of the clutch. The fastest I got out of it was 160 km/h (100mph) and it was still climbing slowly. The ABS works well although I still find ABS mildly annoying at times. Tapping it down a few gears into the corner loosens up the back nicely to set you up for a turn and it’s super short wheelbase makes it unbelievably nimble. The tires were ok once they were warmed up a bit, but I would prefer some with a slightly flatter profile. 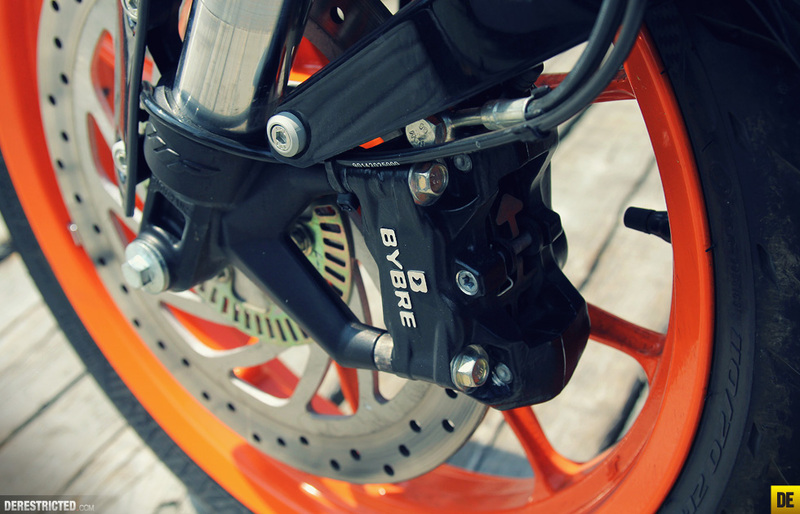 The brakes are solid and ABS is a nice safety feature for everyday use when you are not trying to push it. The bike can hang remarkably well with bigger bikes. 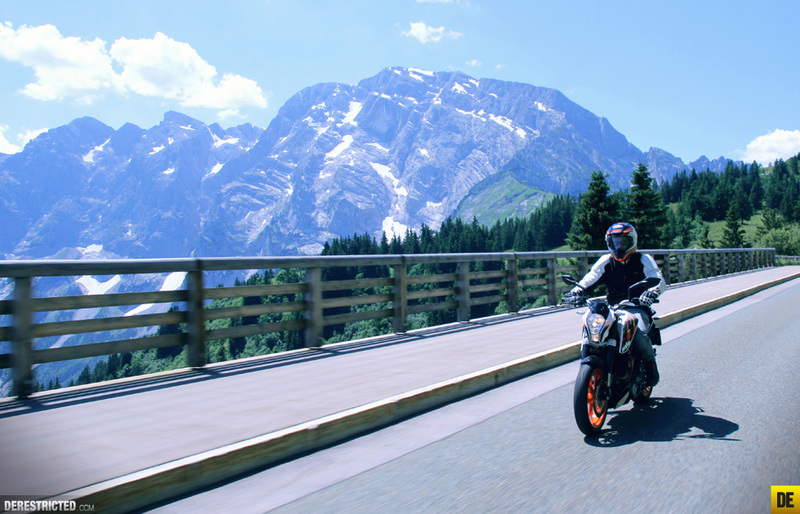 I had a ride today with my friend Manuel on his 690 Duke R and stayed with him without too much trouble and together we overtook many bikes with more than double the engine size. Cornering is super fun on the Duke. There were a few things I didn’t like. 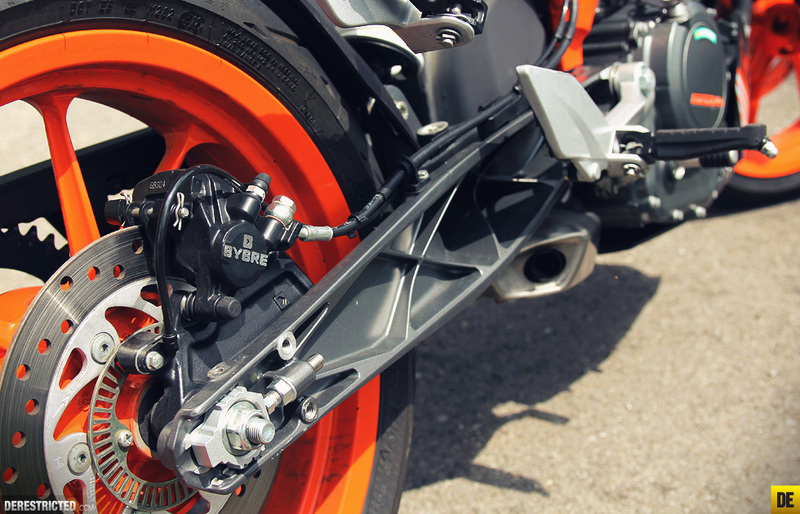 The grips, bars, levers, footpegs, mirrors and number plate holder would all go in the bin if I had one and be replaced with some better quality and more attractive/ergonomic components from KTM powerparts. 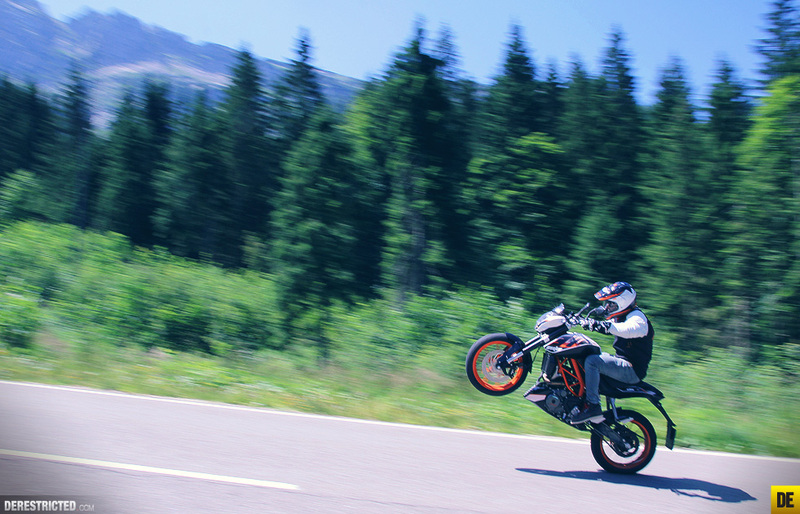 I would be stoked if KTM made a 390 R, with some better stuff as stock, including some slightly stiffer and tunable suspension, but it’s still pretty dam good straight out of the box. The way the engine bounces off the rev limiter reminds me of riding it’s cousin the 250 sxf! 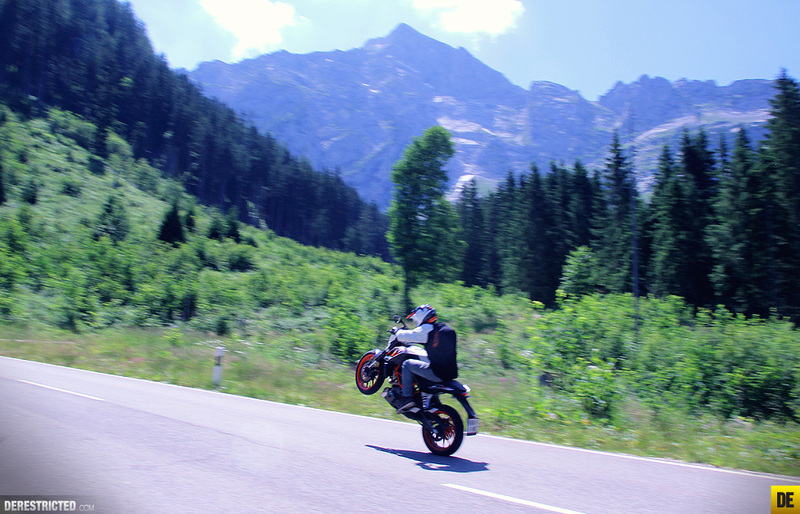 For sure it doesn’t have the high speed responsiveness of the 690 Duke R, but at around 4,800 euro (I think) in Austria it is almost half the price and I had just as much fun if not more on it. 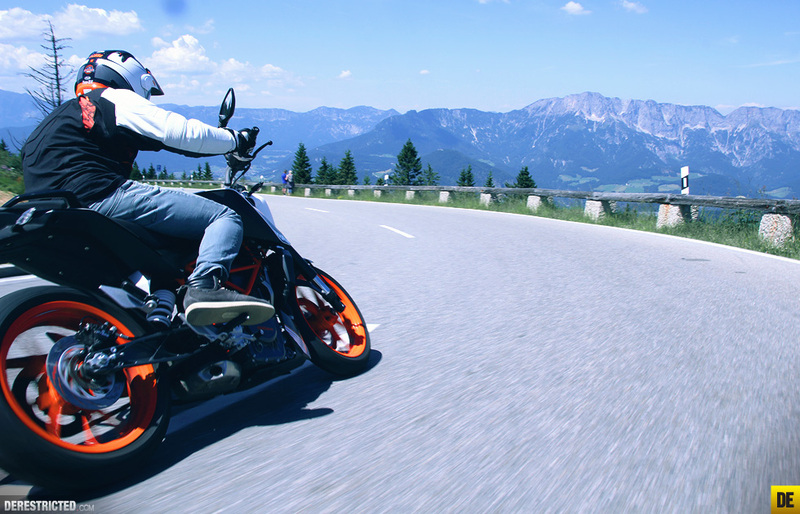 I have always more enjoyed riding slower bikes fast than fast bikes slow, because when it comes to holding the throttle wide open you can do it far more often, and have less chance of ending up in hospital or jail. In summary I would say if you are on a budget and want a brilliant little commuter, run around bike or just a bike to have a ridiculous amount of fun on then go give one of these puppies a test drive when they are available in the next couple of months! If money was no object I would go for a 690 Duke r, but since it is for most people, myself included, I think I may well end up buying one of these. I don’t know of any plans to make one but It would be wicked if there was an R version available eventually too. Thanks to Manuel for taking the action shots. nice review man, it's interesting to see the different requirements you have in your market than we do over here. Nice review, nice photos and such a beautiful place and strip of tarmac. So envious. 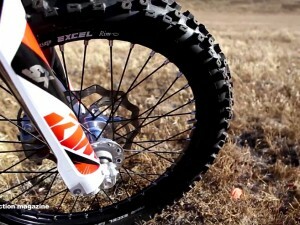 Do you know if the production model will come with orange or black wheels? I've seen orange ones in the reviews but both on ktm.com and printed commercials they're black. Also did you like the braking performance/feeling? I've read a comparison between the duke 390, the ninja 300 and the cb500x on an italian magazine and the duke's braking is described as "requiring too much strenght at the lever and not delivering much power", which is confirmed in their instrumental test where the duke brake from 100km/h required 7 meters more than the honda and the ninja. Frankly that sounds extremely strange. I mean the duke is the only one with a 4-pot front caliper, radial one too, plus it's much lighter than the other two: how can that be? IamaBiker It would be cool if you posted it on your FB page, i'm interested in hearing more opinions from India about this kind of use and what we did with the colors and GFX on the 390. Hey thanks man, happy you liked it. yes it will have orange rims I believe. Thats what we specced it with anyway. As for the braking, it must be down to the ABS setting I would guess. The brakes are more than adequate for everyday use I would say but I am not a huge fan of ABS as I come from motorcross background. I would rather have the ABS off most of the time, but its safer to have it on for beginner riders. Can plz tel about the milage ? Derestricted : I did that review for iamabiker in a very Indian context of what matters the most. Your mini review is a good insight on what Europeans want from their bikes, for us Indians this is the most bhp / rupee spent motorcycle till date. 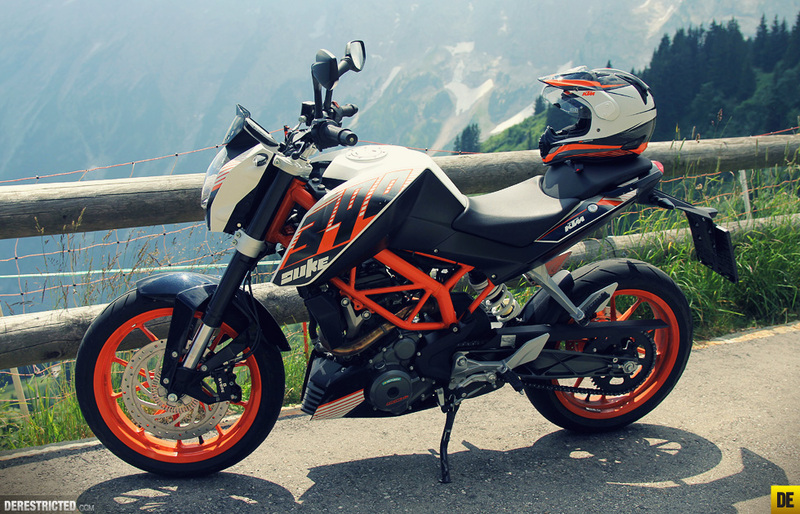 I wish the 690 is made in India as well which would drive down assembling costs by a huge margin. 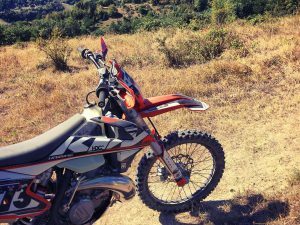 KTM seems to have mastered the art of single cylinder big bore engines and the 690 is the top of the league of that. 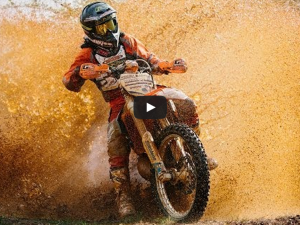 How does the 390 compare to the 690 in stability at speeds of 80-100mph ? Did you find quality of finish on the D390 lacking in any way ? The test vehicle here certainly is not the best it can be. I've linked your review on my fb as well. Should give another insight ! I have no idea, but the way I was riding it and the roads i was riding on would not be a very indicator of the mileage anyway. 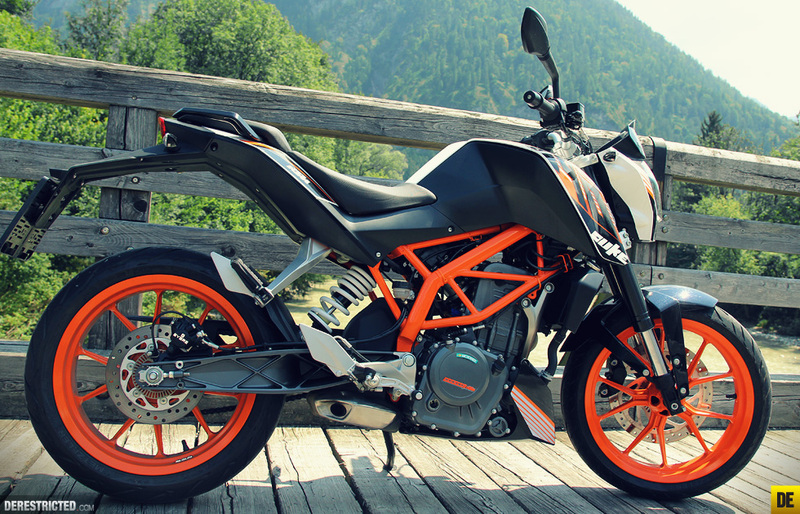 My little take on the aggressive pricing of the bike by KTM in India: (it's only $3000 here). Amazing! So lucky to have it at such a cheap price! It's the same base, but the DUke is a little more relaxed for everyday use. Mileage will be around 30 kmpl.Check out the insane accelaration in the video shot in Kolkata, India. 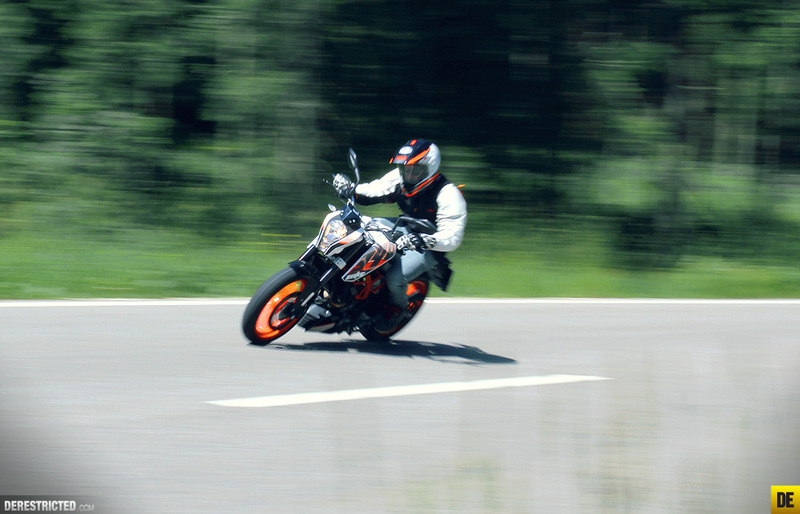 KTM Duke 390 Review on Indian Roads. Sudeep Chakraborty Sorry just saw your reply! 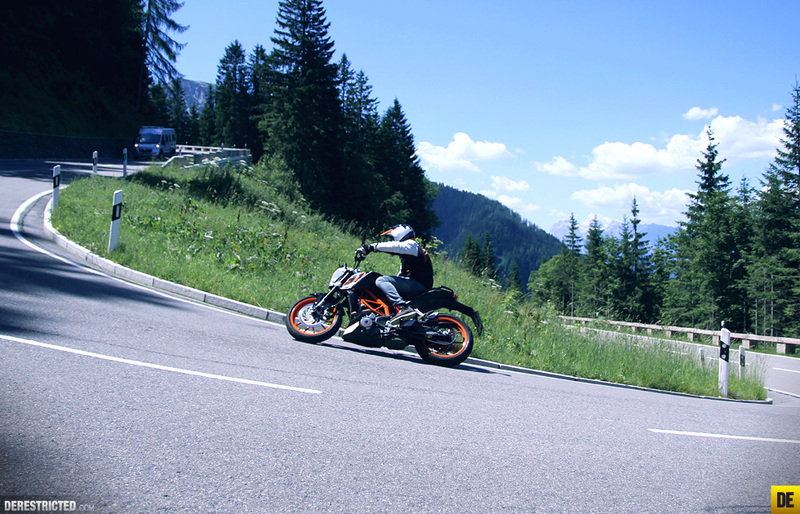 Both bikes are super stable, the 690 is obviously more comfortable cruising over 100, but the 390 is fine too. The finish on the 390 I have is fine, not as good as an SMC or the 690Duke but still pretty good, especially considering the price. 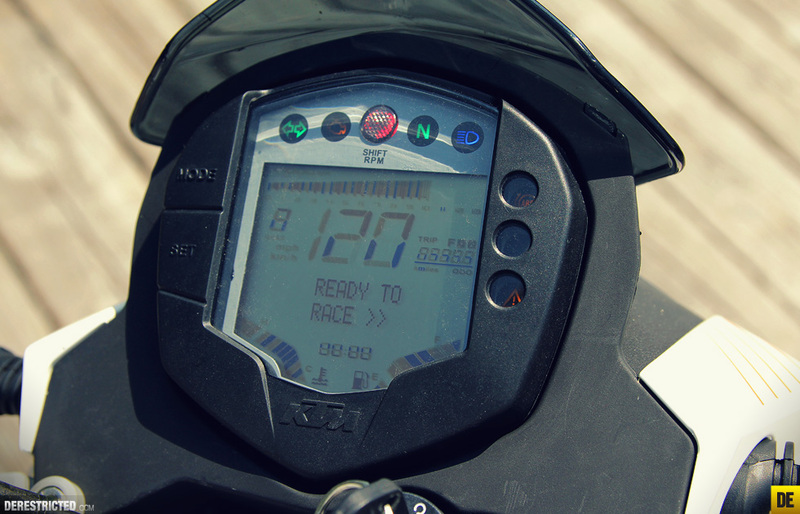 In India, a Ninja 300 owner says he braked hard on both the Duke 390 and the Ninja 300 and the Duke is miles ahead. 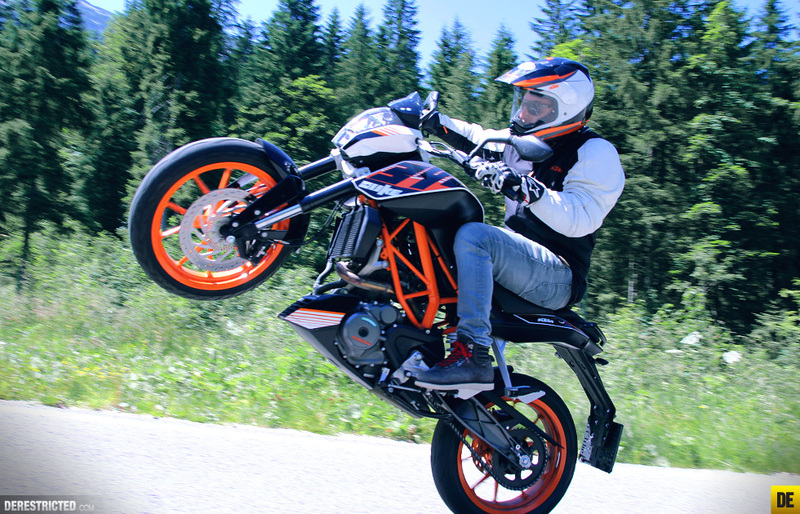 I have ridden the Duke 390 and those brembos don't mess around. They bite. I don't know what the Italian magazine has said. But ground report from here is that the braking is awesome on the Duke. Better than the Ninja and Honda CB 500F isn't here in India yet.